Mark Wahlberg has admitted his brief stint as an underwear model for Calvin Klein was a bad idea ? and he doesn't want to have to explain it to his children when they grow older. 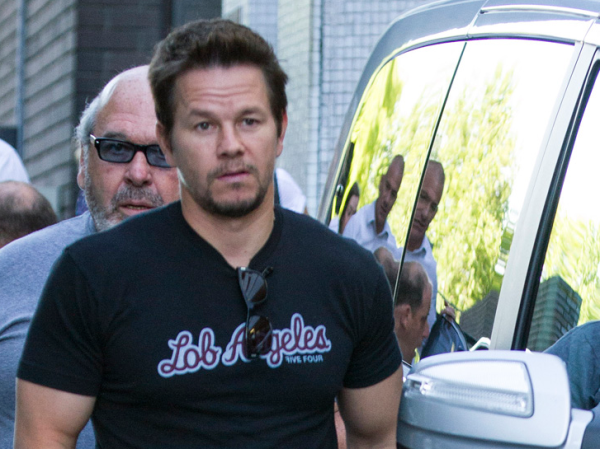 Mark Wahlberg isn't looking forward to his children discovering his "underwear modelling" career. The 42-year-old star ? who has children Ella (9), Michael (7), Brendan (4) and three-year-old Grace with wife Rhea Durham ? admitted it will be "embarrassing" once his offspring start to ask questions about his brief time as a model. He told the Mail on Sunday newspaper's Event magazine, "The underwear modelling I did for Calvin Klein with Kate Moss was not good in retrospect, but at the time it got me a lot of attention from the ladies! "Explaining that ? along with the rap career ? to my kids is going to be embarrassing when they are old enough to ask." The 2Guns actor isn't just regretful about his extracurricular activities though ? he’s also disappointed with movies which fell short of his own expectations. He added, "[My biggest disappointment] would be movies that for whatever reason didn't work. The Truth about Charlie didn't turn out great. But it meant I got to work with [director] Jonathan Demme. "It was the same with [director] Tim Burton and Planet of the Apes ? though after those two films I made a decision to take roles I believed in rather than because there was someone I wanted to work with."